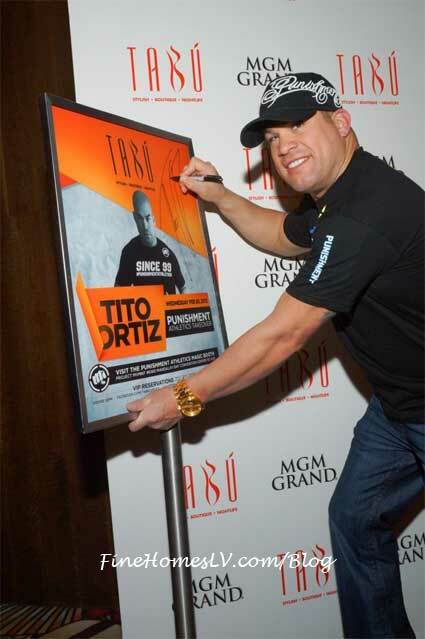 Tito Ortiz, current front man of “Punishment Athletics,” hosted his clothing line party at Tabú at MGM Grand Hotel & Casino in Las Vegas Wednesday, Feb. 20. 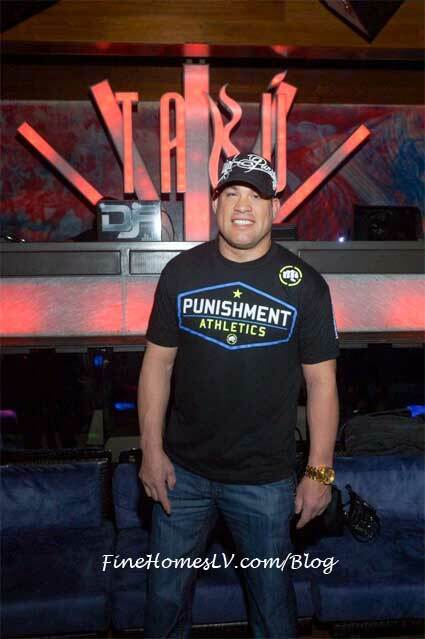 The UFC legend arrived to Tabú with a few friends and business partners, sporting a black t-shirt from his clothing line. Fans crowded around the carpet to take photos of Ortiz as he entered the hot spot. Once inside, the group was escorted to their VIP area, located in front of the DJ booth. 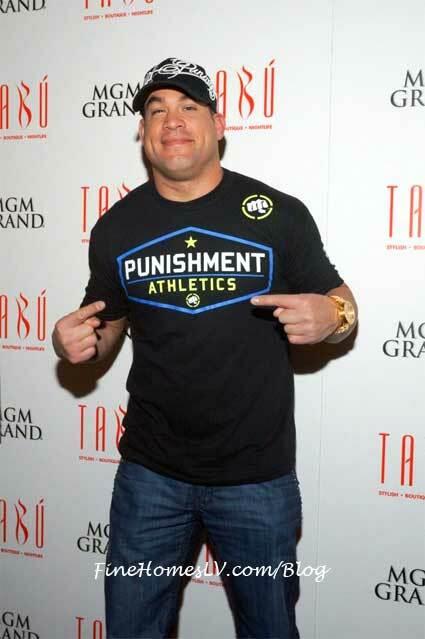 Ortiz handed out “Punishment Athletics” t-shirts to fans and continued to take pictures and sign autographs throughout the night.